View and download our beautiful digital album booklet! 20 full colour pages with all the lyrics, complete credits & photos of our new album, Velours. 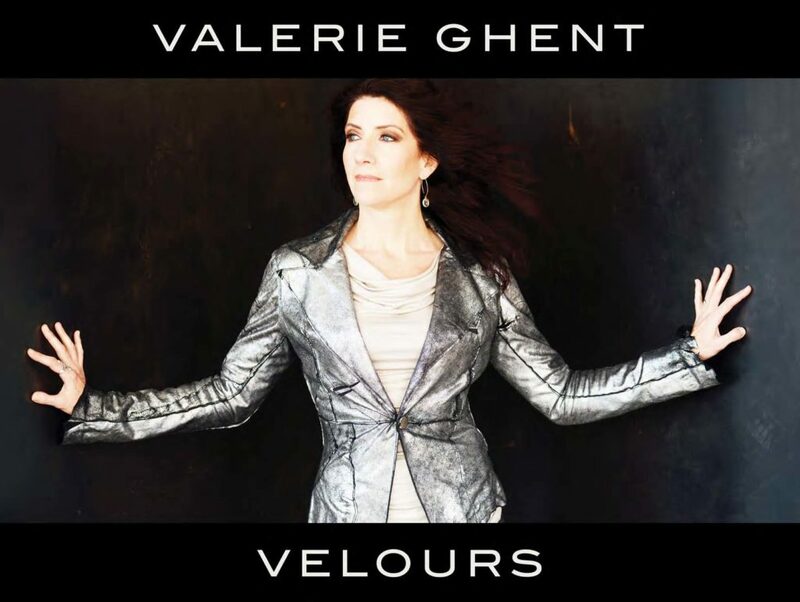 I spent many long days compiling all the lyrics and complete credits for Velours. We recorded Velours in the South of France and NYC, with 23 musicians on both sides of the Atlantic, recording basic tracks in 4 different studios and then overdubs in even more studios in both countries. Good thing I remembered to keep notes! I really wanted to print a booklet and include it with the physical CD, but as prices for printing cost more than pressing, we decided we could make a better booklet digitally, a choice which gave us plenty of room to dedicate a full page to each song’s lyrics and credits, and to be able to include lots more photos. As a songwriter I love being able to read lyrics while listening to a song – I really hope you enjoy how we laid out the lyrics. For me, both as a musician and recording engineer, it’s very important that every credit is listed correctly, so you know who is playing on which song, and where we recorded. I wish that iTunes, amazon, Deezer, Rhapsody, Pandora and all streaming outlets would provide these credits, not only for people like me who love reading liner notes and seeing which musicians and singers recorded in what studios, who engineered, who mixed, and where was the album mastered, but for everyone to understand how many talented people it takes to make an ALBUM! I also spent a lot of time working with our graphic designer, the wonderful Christopher Kornmann, to add photos which we hope will give you a feel for the people, the places and the energy that went into the making of this album. The live concert photos are from both France and NYC, and all the concerts took place during the same time period we were recording and mixing. The atmospheric photos are all photos I took of places in both France and New York. Since the album was ‘born’ in France the booklet starts in the beautiful vineyards of Provence, then comes to NYC. 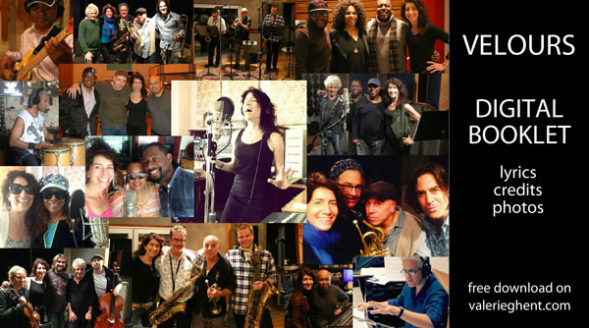 The collages of photos show every musician on the album, first the musicians in France and then the musicians in New York City. So please download the Velours booklet, feel free to post it anywhere you like, it’s made to be shared. Any questions? Comments? Notice any typos? Drop us a line below!